Of all the breathtaking seascapes, mighty mountain treks to wildlife excitement in Sri Lanka, have you ever considered celebrating a creative piece of absolutely talented Geoffrey Bawa – his architectural masterpieces? Late Geoffrey Bawa is a world renowned architect who is a Sri Lankan himself. His legacy still lives on with his admirable masterpieces well known for his impeccable artistic architecture. 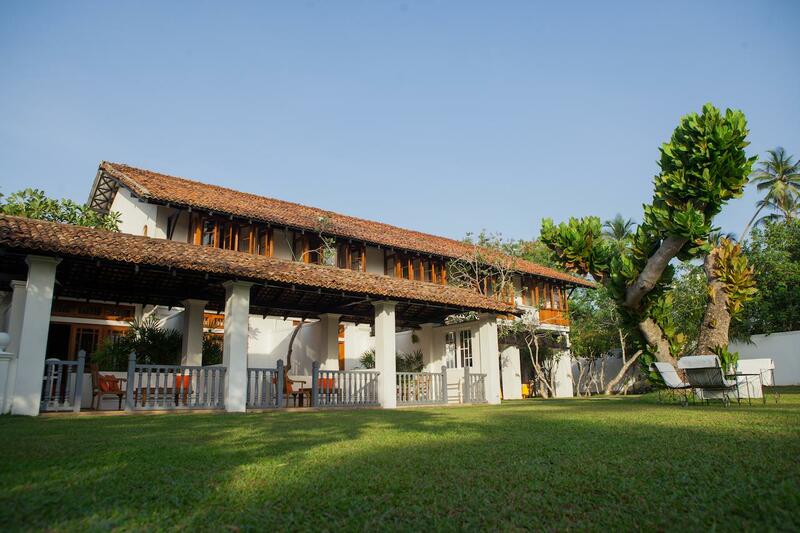 Bawa architecture unravels the essence of contemporary Sri Lanka boosting its beauty along the way. The man himself, Geoffrey Bawa, is one of the most prolific and interesting figures one would ever come across in reading Sri Lankan history. Where modernism and cultural heritage intersects Bawa explored his artistic mind to come up with the unfathomable designs, that led to the formation of a new architectural identity and aesthetic features. Bawa in fact gained recognition and awards, including the Chairman’s Award of the Aga Kahn Special Chairman’s Award for Architecture (2001) and the title Deshamanya, in recognition of his contributions to his country by the government of Sri Lanka. 1David Robson, “Remembering Bawa,” ArchDaily, December 19, 2013, accessed August 18, 2018. In the sacred heart of Sri Lanka’s cultural legacy, nestles the impeccably beautiful Heritance Kandalama. This is perhaps Bawa’s most iconic, dramatic and breathtaking masterpieces ever. Built into a cliff face overlooking the Kanadalama reservoir the hotel envelopes mother nature in all its natural forms. Instilled of multiple layers stretching over about one Kilometer Kandalama hotel is a gift from Bawa, that still thrives on its plethora of landscapes amidst the wilderness and beholding the sight of the world UNESCO heritage and truly legendary, Sigiriya Rock, a wonder of King Kashyapa. The vibrant contemporary Colombo city, the capital city of the tear-drop Island of Sri Lanka, well known for its sophisticated landscaped, twin skyscrapers, treeline boulevards, and the business epicenter which leads us to the infamous Gallery Café, now Colombo’s favorite restaurants which was then Bawa’s architectural studio. Paradise Road designer, and local style arbiter, Shanth Fernando converted this Bawa Studio to a living celebration of his work with a gallery and a restaurant. The art gallery exhibits the works of local artists, and there is also a branch of Paradise Road, the popular lifestyle and design store. 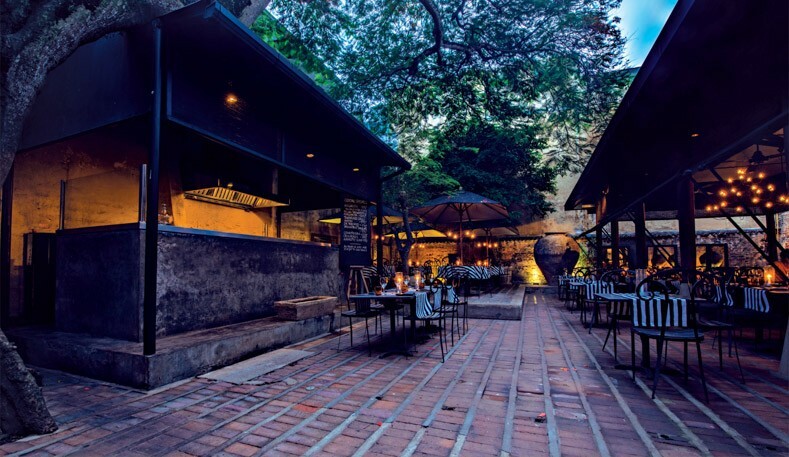 The Gallery Café has artistically secured the Bawa architecture with much tenderness and added glamour. This is was Bawa’s private Colombo home, a three storey villa. Owning the property in 1958 Bawa lived between Number 11 villa and his beloved garden retreat at Lunuganga, for forty years. The house remains unchanged in memory of Bawa as his abode is a recognized as a true marvel in his architectural legacy. The courtyards and varenda’s are stand still with time securing even the antique pieces inside this villa. A visit to the property will leave you inhaling the true dwelling of the memory of Geoffrey Bawa. This is perhaps the perfect form of Bawa to true enthusiasts of architecture. Lunuganga was known to be Bawa’s country escape. 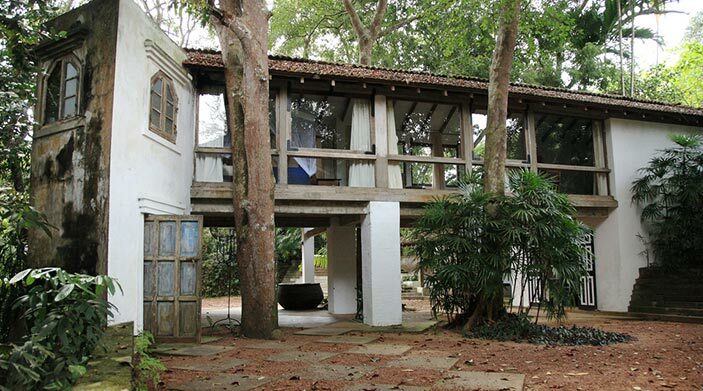 Nestling in close proximity to beach resort Benthota, this is a remarkable masterpiece of Geoffrey Bawa. Bawa’s designs were enormously influential and had a big impact on the housing aspirations of a whole generation of urban Sri Lankans. 2David Robson, “Remembering Bawa,” ArchDaily, December 19, 2013, accessed August 18, 2018. Club Villa, Benthota one of the 35 hotels designed by Geofferey Bawa. It is the ideal hotel for a luxurious escape nestling amidst coconut plantation and hop skip and a jump away from the glorious Indian ocean. The Villa is a true picture of Bawa’s vision incorporated with open courtyards and little lilly ponds. An abode for the beach and country lovers to escape the sophistications of modernization although the vill itself is a contemporary piece of architecture. As the name suggests, it is Bawa’s farewell piece of architecture. The Last House was a design that labors the true tropical climate reflecting a localization in a rather modern twist. Its unique architecture open doors to a tranquil escape with a two-acre jungle surrounding. “The Last House” was Bawa’s last masterpiece and although he passed away before its construction it is a pure Bawa original masterpiece up to date. Going down the memory lane of Geoffrey Bawa is a true journey to remember his greatness and artistic choices that inspired Sri Lanka and its lifestyle and even many more architects that thrive on his memory and significance. Although we have listed down some of the most groundbreaking masterpieces by Bawa, it is important to remember that Bawa was a mastermind for many other famous designs in Sri Lanka; The New Parliament Building in Kotte, The Ruhuna University, Fitzherbert House, which is now known as Claughton House, in Dickwella and many more magical designs to be explored.